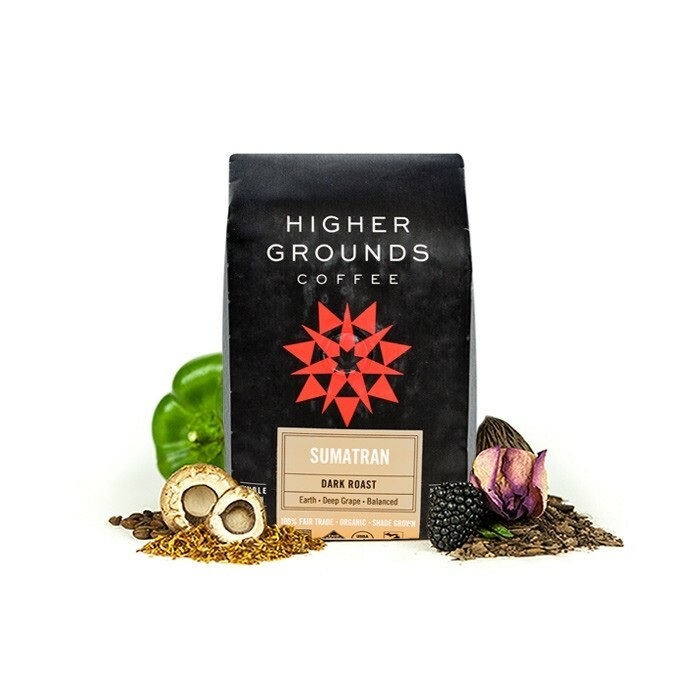 This is the Sumatra Permata Gayo brought to you by Higher Grounds Coffee. This Fair Trade and Organic certified coffee was sourced from the growing region of Lake Tawar in Sumatra and was produced by the Permata Gayo at 1,200 - 1,650 meters. A medium dark roast, this coffee is earthy complemented by subtle hints of fresh herbs. My favorite so far. Love this smooth coffee. Something has been going wrong here. I asked for light to medium roast and this is the second dark roast in a row you have sent. Also, you have sent me Higher roast twice in a row. what's going on is that you are confusing me with my children and brother who i purchased gifts. I don't want the second Higher Ground you just sent me since i just finished the last one and didn't like it much. Please send me another instead of Higher Ground. not great. has a papery taste. Aroma is fantastic. Rich cup of coffee. Sumatra is one of my all time faves and this delivered. We would like to try some coffee from Guatemala. Thx. I'd go to 6 stars if I could. Send more anytime. WOW! Amazing taste, but with a kick of caffeine that set my heart racing — literally. I had to cut down to one shot of this in the AM.